Jo's Favorite Things: What's Your Halloween Story? Do you howl at a witch beside a bubbling cauldron? Or dance with a scarecrow in an enchanted castle at midnight? I don't know where this came from, but it says the artwork is from www.nikkiburnette.com . For some reason, I've always liked this, and I pull it out every Halloween. 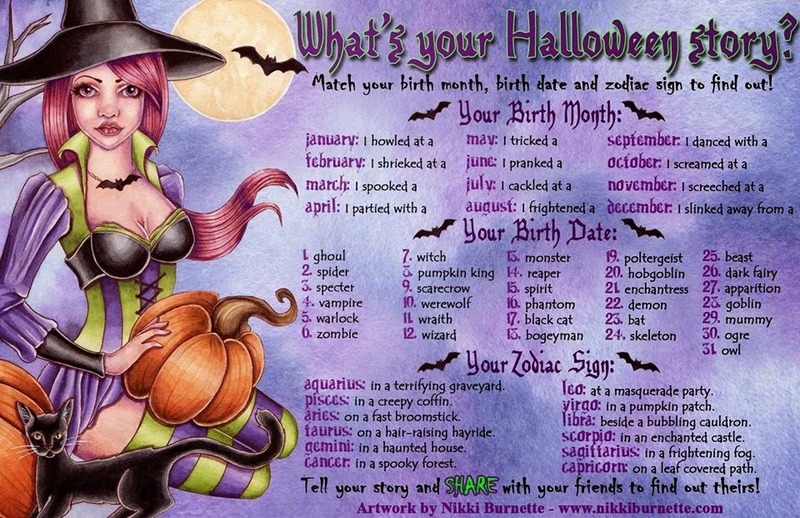 Maybe it's because I get to dance with a wizard in a pumpkin patch... 'til dawn. And that sounds like fun! Daylight Savings Time Ends November 1st, 2015!